Cricut Vinyl makes it easy to personalize your home with quotes window decals and removable labels. You can even customize personal belongings such as media covers car windows and notebooks. Each package comes with six 12" x 12" vinyl sheets. Using Cricut Transfer Tape makes applying the vinyl a cinch. Cricut Vinyl is easily removed making it convenient to change things up. You can even decorate your walls for each coming holiday. Customize your home and belongings to fit your very own style! This item cannot be shipped to APO/FPO addresses. Please accept our apologies. Cricut cutting mats have been customized to match commonly used crafting materials. Each has just the right level of grip to not only hold your material firmly in place during cutting but to also allow you to easily remove the material from the adhesive surface. The StandardGrip mat is a multi-purpose mat that is perfect for a wide range of medium-weight materials including patterned paper vinyl iron-on and cardstock. Two mats are included in each package. Using both mats allows you to cut one image while working on another. This item cannot be shipped to APO/FPO addresses. Please accept our apologies. Make colorful DIY vinyl decals with Cricut Printable Vinyl. The Print then Cut feature gives you endless possibilities using your home printer and Cricut Explore machine to print and cut out image patterns and even photos cleanly and precisely. For use with inkjet printers and the Print Then Cut feature of the Cricut Explore machine; Choose the custom setting "Printable Vinyl" for a kiss cut which cuts through the vinyl and leaves the backing intact for easy application; Remove excess vinyl with the Cricut Tools Weeder then use Cricut Transfer Tape to apply to project; Keep printed images dry to preserve longevity. This item cannot be shipped to APO/FPO addresses. Please accept our apologies. Cricut StandardGrip Adhesive Cutting Mat 12x12 (x2) - Cricut cutting mats have been customized to match commonly used crafting materials. Each has just the right level of grip to not only hold your material firmly in place during cutting but to also allow you to easily remove the material from the adhesive surface. The StandardGrip mat is a multi-purpose mat that is perfect for a wide range of medium-weight materials including patterned paper vinyl iron-on and cardstock. Two mats are included in each package. Using both mats allows you to cut one image while working on another. 2 mats This item cannot be shipped to APO/FPO addresses. Please accept our apologies. Precisely cutting straight lines is a cinch when you use the 12" Portable Trimmer with 15" swing-out arm. Replacement blade storage in underside of trimmer. This item cannot be shipped to APO/FPO addresses. Please accept our apologies. Cricut Transfer Tape was specifically designed to make transferring vinyl designs to project surfaces a cinch. Now new and improved our tape holds better during transfer and peels away cleanly once your design is in place. The clear film with grid makes it simple to position your design right where you want it! 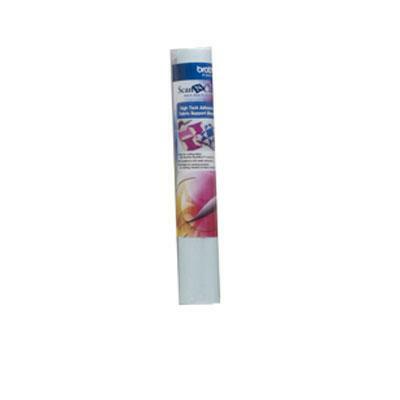 One sheet 12" x 48" Transfer Tape; For use with all Cricut cutting machines. This item cannot be shipped to APO/FPO addresses. Please accept our apologies. Cricut Vinyl makes it easy to personalize your home with quotes window decals and removable labels. You can even customize personal belongings such as media covers car windows and notebooks. Each package comes with twelve 12" x 12" vinyl sheets and Cricut Transfer Tape makes applying the vinyl a cinch. Cricut Vinyl is easily removed making it convenient to change things up. You can even decorate your walls for each coming holiday. With our large variety of Cricut images and fonts you can customize your home and belongings to fit your very own style! Cricut Vinyl sheets are made up of two parts. The vinyl is the actual material that will be cut and applied to your project and the liner is the carrier sheet that holds the design in place while the vinyl is being cut. 12 sheets This item cannot be shipped to APO/FPO addresses. Please accept our apologies. The Cricut Tools Scoring Stylus lets you use your Cricut Explore machine to score fold lines for cards boxes 3D projects and more. The Cricut Explore can accept the Scoring Stylus as well as a cutting blade so you can cut and score in one step without changing mats! This item cannot be shipped to APO/FPO addresses. Please accept our apologies. 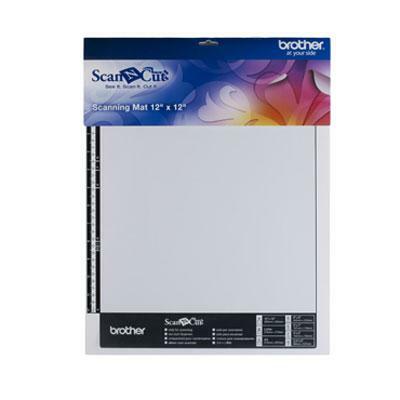 Brother ScanNcut CASTBL2 High Tack Adhesive Fabric Support sheet. Designed for multiple purposes (depending on fabric type). Blue. This item cannot be shipped to APO/FPO addresses. Please accept our apologies. Cricut Iron-on Glitter is a decorative heat transfer film that makes apparel and accessories all your own. Personalize everything from sports team wear t-shirts and jackets to bags aprons scarves and hats. You can even customize home dTcor items such as pillows blankets basket liners and wall hangings. This item cannot be shipped to APO/FPO addresses. Please accept our apologies. Brother ScanNcut CAHLF1 For use with Brother ScanNcut (Blade not included). Blue. This item cannot be shipped to APO/FPO addresses. Please accept our apologies. 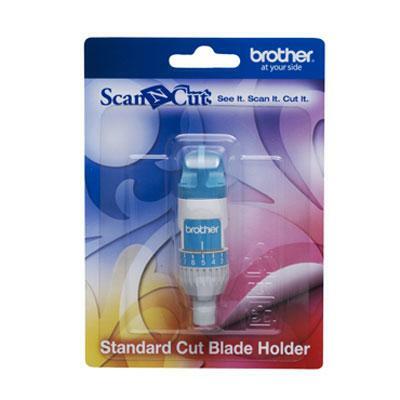 Brother ScanNcut CAHLP1 Standard Cut Blade Holder.For use with Brother ScanNcut (Blade not included). Blue. This item cannot be shipped to APO/FPO addresses. Please accept our apologies. 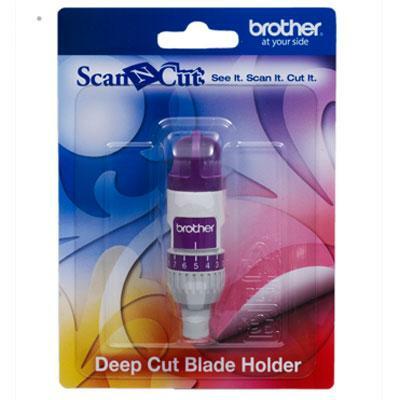 Brother ScanNcut CAMATS12 Specially designed for scanning delicate materials such as photos and precious documents. Do not use for cutting. Blue. This item cannot be shipped to APO/FPO addresses. Please accept our apologies. The Provo Craft Cuttlebug 6" x 13" Spacer Plate A allows you to cut and emboss efficiently and effectively with your Cuttlebug dyes. This mat is designed to be used with Cutting Pad B. This item cannot be shipped to APO/FPO addresses. Please accept our apologies. 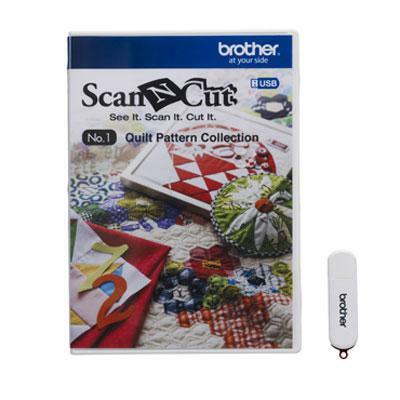 Brother ScanNcut CAUSB1 Complete your favorite quilting projects with this exciting collection. Blue. This item cannot be shipped to APO/FPO addresses. Please accept our apologies. 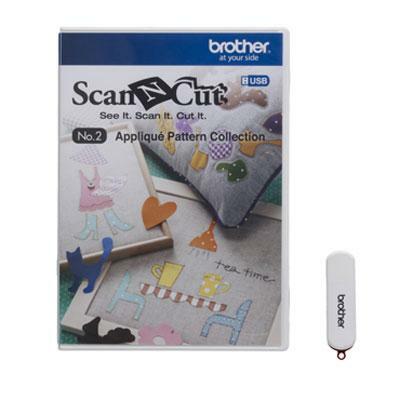 Brother ScanNcut CAUSB2 Applique Pattern Collection. Add an extra touch to your latest project with this pattern collection. Blue This item cannot be shipped to APO/FPO addresses. Please accept our apologies. These cutting mats allow you to cut and emboss efficiently and effectively with your Cuttlebug Die Cutter and Embosser Machine. These mats are designed to be used with Spacer Mat A. This package contains two 6 by 13-inch thin cutting pads. Cuttlebug Machine dies and spacer mat not included. Imported. This item cannot be shipped to APO/FPO addresses. Please accept our apologies. Cricut cutting mats have been customized to match commonly used crafting materials. Each has just the right level of grip to not only hold your material firmly in place during cutting but to also allow you to easily remove the material from the adhesive surface. Specially formulated for lightweight materials the long-lasting LightGrip mat allows you to easily cut and remove common office printer paper vellum light cardstock and more. This item cannot be shipped to APO/FPO addresses. Please accept our apologies. Get all the Cricut Tools in one set. Includes tweezers to lift and secure in one step weeder to remove tiny cuts micro-tip scissors with protective blade cover spatula to lift cuts from the mat scraper to clean all cutting mats and interchangeable end caps to customize colors. This item cannot be shipped to APO/FPO addresses. Please accept our apologies. Cricut Vinyl makes it easy to personalize your home with quotes window decals and removable labels. You can even customize personal belongings such as media covers car windows and notebooks. Cricut Transfer Tape makes applying the vinyl a cinch. This item cannot be shipped to APO/FPO addresses. Please accept our apologies.